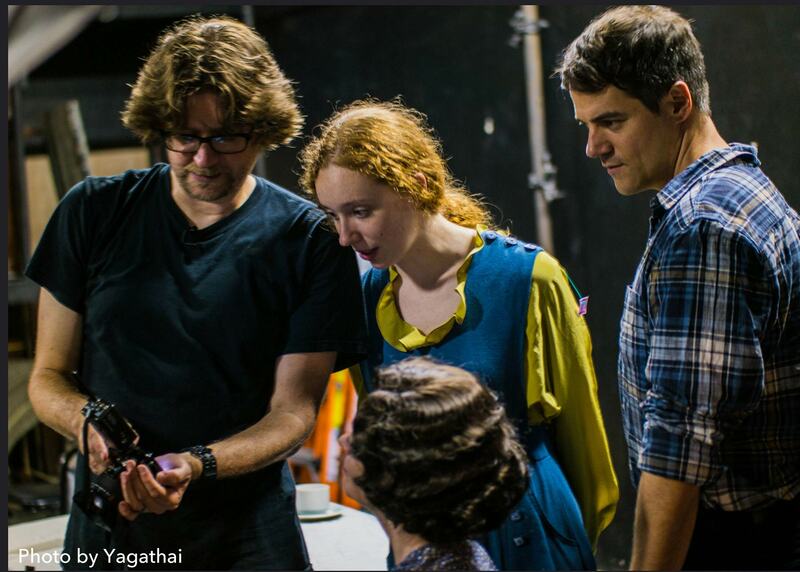 I love working with actors because it's their job to make fantasy reality. When you're telling some CEO "ok, now look smart" most of the time they're thinking about their lunch or their next meeting or some article they're writing but the one thing they're not really thinking about is how to make your photo amazing. Actors are thinking how to make your photo amazing. You can give them individual words, you can give them fake scenarios, you can give them moods and they go with it. 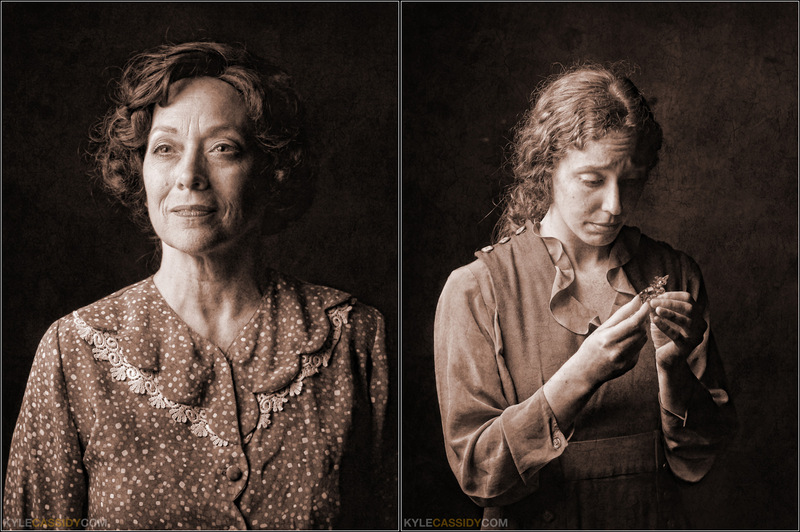 When director Joshua Browns asked if I wanted to work with some of Philadelphia's best actors to do some photos for the Commonwealth Classic Theater's production of Tennessee Williams' The Glass Menagerie I was very happy. 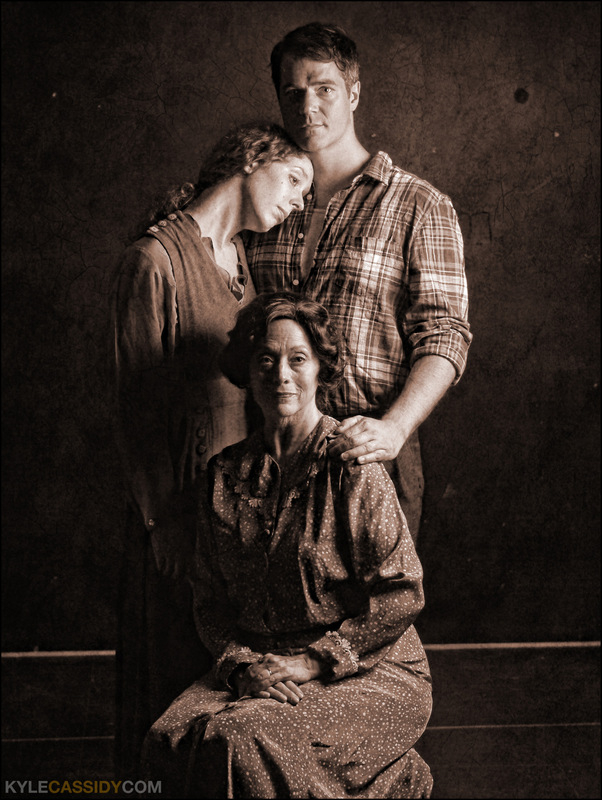 There's not a whole lot visual to The Glass Menagerie, it's a play about memory and the interactions of a family, but it's not a play where a house falls on a witch, so any visuals have to be subtler. The relationship between members of the family is extremely complicated and this is what the whole play is about, so I knew I needed to do something that told who everybody was and how they got along in a single image. The cast have two hours to tell the story, the photographer has three seconds as someone drives past a bus shelter poster, so you've got to get it right fast. There's Tom, the narrator, he works in a factory to support the family but has much bigger dreams, he's a writer and not understood by his mother, Amanda, at one time a legendary beauty who repeatedly tells the story of how at one time she had seventeen different suitors show up on her porch at the same time and the family had to send out to the church for extra chairs to accommodate them. Now she's selling magazine subscriptions and living in a miserable tenement in New York, but all the while, in her mind she's still a belle, and she's still 17. Then there's Laura who has some disability I can't remember if it's ever mentioned -- trillian_stars thinks she may have a limp from Polio, but whatever it is, it makes her self conscious. She's retreated into her room and away from people. Into this frail & dysfunctional web come some things that make up the play. Since the story's about a family, I wanted to do a family portrait that was as honest as we could make it. I lit this with the Photek Softlighter II (the small one) with a pair of Pocket Wizards on a Panasonic GX7 Micro 4:3 camera with a 45mm f2.8 Leica lens, Voice Activated Light Stand was yagathai. The Panasonic had some problem working with the Pocket Wizards and didn't trigger the flash every time. Not sure why, but it was annoying. I really love how all the actors made their characters come through with nothing to act with but their eyes, their expressions and their posture. Behind the Scenes -- you may clickenzee to embiggen. We had the run of the theatre, which is nice because you can say "do you have an oriental carpet?" and the stage manager will scratch her head and say "yes, on the 4th floor, in the Carpet Loft, it's right above Swords and Armor". We did some shots outside too that I thought might be the sort of family snapshots people might have. I used a Holga lens on the Panasonic, but when we got down to it, the inside portrait was so right on we didn't need anything else. The show runs August 7 through August 24. I'll be there on opening night. That first shot, the poster, is absolutely stunning.